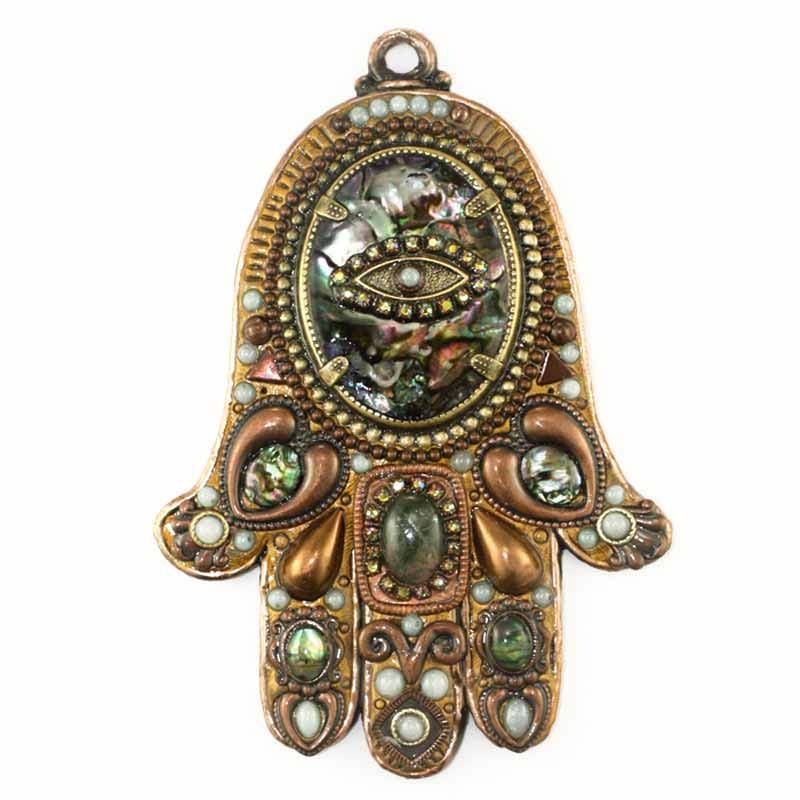 A lovely iridescent and multi-toned abalone stones takes center stage in this copper toned Hamsa for a look that’s equal parts earthy and ethereal. Luminous mother of pearl adds to the ethereal look, and fancy jasper gives a pretty deep green color to this piece. 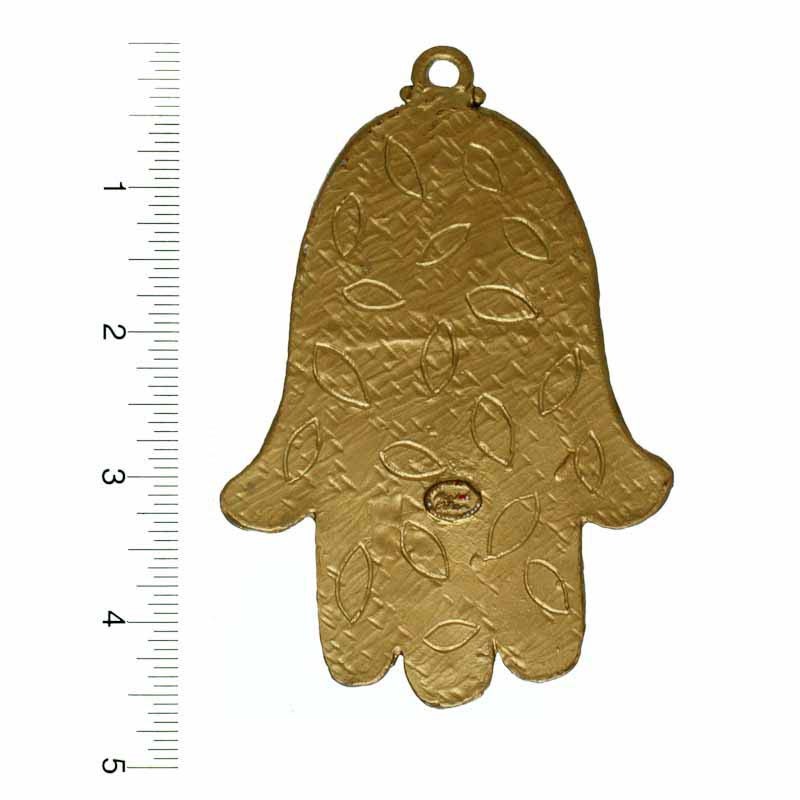 This wall hamsa would look great hanging on the wall of a rustic looking home or laying on a dark wooden night stand or dresser.